Follow celebrity chefs Chuck Hughes and Danny Smiles as they take to the road in a fifth-wheel RV to cook up tantalizing dishes from some of the country’s amazing local foods. Celebrating Canada’s 150th birthday the Montreal-based chefs travel coast to coast meeting local farmers, fishermen and foragers and cooking up a storm, both in the RV and around the campfire, and having lots of fun along the way. What better way to experience Canada’s stunning landscapes and diverse food offerings and with two of the 6 episodes right here in British Columbia. The first BC stop is in the second episode on March 10 (the show’s premier episode aired March 3) when Chefs Chuck & Danny take their road trip to Vancouver Island for some Island Time. 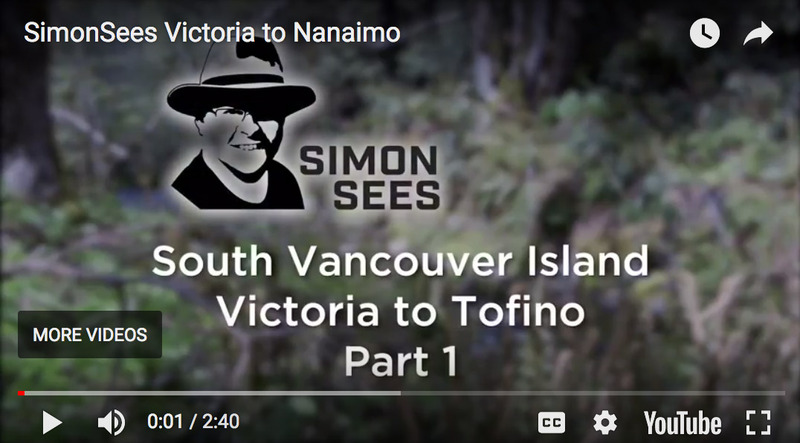 After setting up camp in Goldstream Provincial Park, not far from the British Columbia capital Victoria, and armed with good advice from local Cowichan Valley Chef Dan Hudson, Chuck & Danny go looking for grass-fed chicken, local seafood and more. Donning wet suits and diving into the ocean, the two chefs try their hand at seaweed harvesting and eating freshly caught sea urchins right on the boat. Then back to the campsite to cook up a feast. Next it’s over to Salt Spring Island to experience the Salt of the Earth. In this BC episode, which airs March 17, local Chef Brooke Winters who believes in providing local organic food to people in a fresh and affordable way, provides Chuck & Danny with the low down on the very best local vegetables and country’s finest lamb. Chuck tries his hardest to catch a salmon which manages to elude him, but an unexpected catch makes for an excellent Salt Spring seafood feast for the locals. If you love camping and cooking make sure you watch Chuck & Danny’s Road Trip and experience some of the best scenery and freshest ingredients provided by local farmers, fishermen and foragers that Canada offers from coast-to-coast. An impressive and delicious RVing and cooking adventure. Check out the episode guide and tune in to Chuck & Danny’s Road Trip – which premiered on Food Network Canada on Friday, March 3 at 9:00 pm. 2 thoughts on "Cooking Up an RV Adventure on Food Network Canada’s new Chuck & Danny’s Road Trip"
I would like to see a close photo of their tattoos 🙂 This is a great!! I love that they showcased local, “down to earth” food products. And you can never get enough info on seafood in order to truly appreciate what Mother Earth has so generously provided to us (& for free). Hopefully seeing this on tv will encourage those in a position to protect our oceans to do so. Such HUGE sea urchins!!! Yes, great show and the 2nd episode in BC this Friday March 10.